Samir Iqbal, UTA associate professor of electrical engineering. The key to fighting cancer in many cases is early detection, and earlier detection at the cellular level could mean survival for many cancer patients. A University of Texas at Arlington electrical engineer has developed a novel cancer cell detection method that will improve early diagnosis through a tool that tracks cellular behavior in real time using nanotextured walls that mimic layers of body tissue. Samir Iqbal, an associate professor in the Electrical Engineering Department, detailed his team's results in a recent Nature Scientific Reports paper called "Effects of Nanotexture on Electrical Profiling of Single Tumor Cell and Detection of Cancer from Blood in Microfluidic Channels." Iqbal worked on the project with Young-tae Kim, a UTA associate professor in the Bioengineering Department; Muhymin Islam, a STEM doctoral candidate; and engineering students Mohammad Motasim Bellah, Adeel Sajid and Mohammad Raziul Hasan. Iqbal said his team noted the many layers of tissue in the human body and decided to develop something that would mimic that layering. 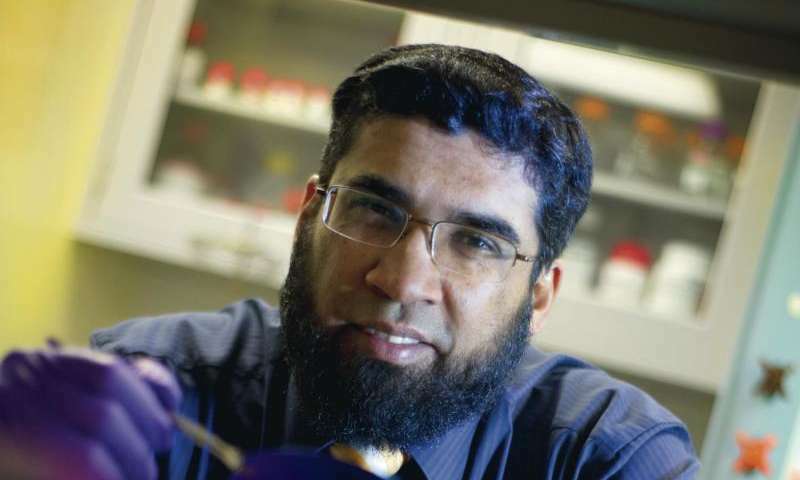 "The answer was in creating a nanotextured wall that fools blood samples into thinking its actual tissue," Iqbal said. "We used inherent properties of the cell walls to create a diagnostic tool. The cancer cells behave differently as they come into contact with the nanotextured walls. They dance." Identifying those "dancing cells" will help doctors pinpoint cancer cells and start treatment earlier than allowed with current technology. "Discovering the cancer earlier, before it metastasizes, is essential to surviving cancer," Iqbal said. "Our device has the potential to do that." The published results stem from a 2014 $480,000 National Science Foundation grant that funded the design and creation of the device. Khosrow Behbehani, dean of the UTA College of Engineering, said Iqbal's research is groundbreaking. "Dr. Iqbal and his colleagues are bringing engineering innovation to meet the challenge of early cancer detection," Behbehani said. "The research aligns with UTA's Strategic Plan, particularly the focus on Health and the Human Condition. Dr. Iqbal's device could greatly improve cancer survival rates, which is good news for humanity. There are very few people around the world whose lives have not been touched by this dreadful disease." Strange, I now have access.